The Sustainable Economic Development Assessment (SEDA) by Boston Consulting Group has hit the nail on the head about Malaysia being a nation stuck in the middle-income trap and being unable to create “well-being” for its citizens. SEDA defines well-being through fundamental elements, which include income, economic stability, employment, education, health, infrastructure, income equality, civil society and governance dimensions. There were a total of 149 countries that were measured and Malaysia scored 57.6 on its snapshot of well being created. The best country gets 100 and the worse zero and from the way Malaysia fared it reinforced what the World Happiness Index reported last year. According to SEDA, Malaysia fared poorly in its ability to convert wealth and growth to well-being and from this, it can be taken that this means and indicates growing income inequality in the country or haphazard earnings by the people. Also revealed in the findings was that Malaysia’s ability to translate growth and wealth into a better life for its citizens were below average, producing improvements which are less than what is expected or of use. Singapore scored high on the report, coming in with 89.9 marks and it was also above average in converting wealth and growth into well-being. But Norway was judged the country where citizens have the best well-being in the world. The Najib Administration is certain that Malaysia is heading towards being a high income nation and is on course to become an advanced and developed country by 2020 but this has to be taken with a pinch of salt going by the present position of Malaysia. These are myths. 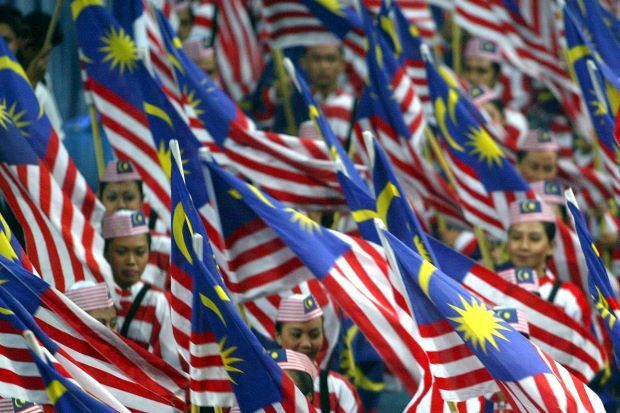 There is no way the World Bank or OECD or WTO or other world bodies are going to endorse Malaysia’s entry into the status of being an advanced or developed nation within the space of five years. IF SEDA’s assessment is correct (and there are no grounds to disagree with it), then Malaysia is actually regressing on all fronts and not moving forward as Malaysians are being told to believe. There are numerous international organizations that counter and challenge Malaysia’s claim to progress. Not only do these international and local non-governmental organizations counter the claims of the Malaysian government but they have, from time-to-time, provided ample proof that all is not going well in this country. This is why SEDA’s assessment is spot on and a true reflection of how most Malaysians feel. Most Malaysians feel this country will be far better off than even Singapore if good governance was being practised. Malaysia was never a country where things were right since its inception in 1957. A little over a decade after Merdeka or Independence from the British, race riots flared up on May 13, 1969 for the first time in the history of this infantile nation. It wasn’t long before hardliners within UMNO, led by Tun Abdul Razak, ousted the Tunku and mooted the idea of implementing an affirmative action program for bumiputeras or indigenous people which excluded the Chinese and Indians. That was the opening of Pandora’s Box for Malaysia and all manner of racial and religious tensions begin to surface and were clamped down by the iron fisted governance of Barisan Nasional (BN) leaders that have exclusively led Malaysia since its birth as a nation. Till today the well-being of the nation has suffered. There is much dissatisfaction with social justice, the judiciary, the police force and the rule of law and order. Most Malaysians feel the country is going to the dogs and failing to toe the line of globalization. Since the Tunku’s ouster there has been a steady deterioration or rot taking place in the country and this can be witnessed to by the fact that all the spoils of economic growth have not been equitably distributed and what has happened is that a huge chunk have been taken up by the governing elite. This unfairness is being badly felt by the people and they feel that it not just unjust but evil that all their labors have not be fairly compensated and rewarded and instead their gains have been swallowed up for consumption by the governing elite in this country. This is why all is not well in the country and there is growing murmuring and complaining and dissension by the people over how this country and its wealth and resources is being managed by the BN government. The majority of Malaysians are not only beginning to feel uneasy and uncomfortable but they are beginning to air their grievances and displeasure through social media and the alternative media in growing numbers and it is time for the BN government to pay heed to their concerns.